Even the urban dwellers among us should know the joys of gardening. In fact, balconies are a wonderful opportunity for you to unleash your inner botanist while utilizing your outdoor space in a functional, beautiful way. 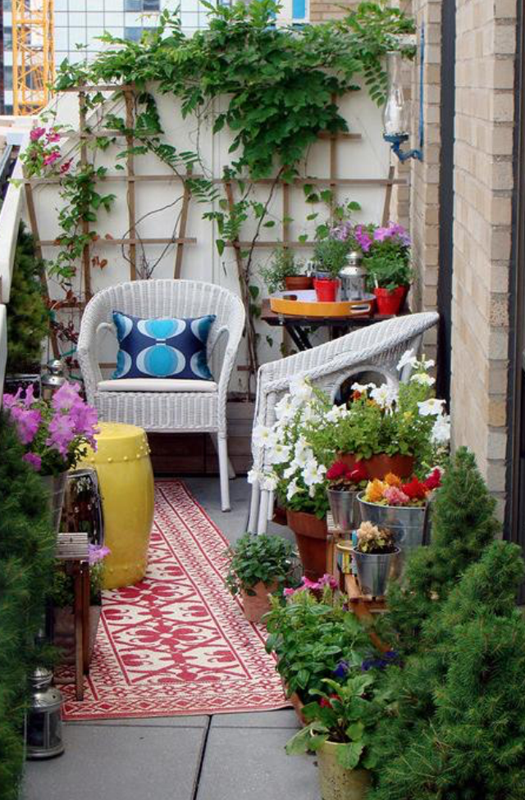 You may not see that limited outdoor space as being capable of sustaining a miniature Garden of Eden of your very own, but just about any balcony can become an urban oasis with a little planning and these simple steps. Before diving into gardening therapy, you need to plan your balcony garden. This is a very important step that will determine how your space will be organized and what you’ll need to pull it all together. It’s a good idea to measure the space so you can figure out what size pots and planters will work best for your individual space. Another tip is to utilize your vertical space, so consider mounting your green friends on the walls and along the railing of your balcony too. The artistically capable might even draw a mock-up of your perfect garden balcony before you actually start collecting all your materials. You should consider what types of plants that you’ll be planting. Will you focus on colorful flowers? Shrubs and greenery? Is it your dream to cook vegetables that you grew yourself? When you’re looking at shrubbery and flowers, it’s a good idea to get a selection of both perennials and annuals, or plants that will return year after year and ones that you’ll need to replant each year, respectively. You might even throw in some evergreen shrubs too; they’re low-maintenance and let you have some greenery even during the cold months. Typically vegetables are grown from seeds, which can be purchased from most hardware and general supply stores. Flowers and shrubs are sold having already sprouted, so more often than not you’ll need to visit a nursery or a nearby farmers’ market when plants are in season, then plant them into your pots and containers. It’s important to think about the size of the plants and their root systems when they become mature; plants that root more extensively need to be potted in containers that give them room to stretch their legs, but plants with small root systems can flourish in more shallow containers. When you’re deciding which plants can be planted together, remember that generally you should keep vegetables separate and not cram too many plants into one container — they need room to breathe. Does your balcony get a lot of sunlight? Most plants need about five hours of sunlight per day, give or take. If your balcony gets too much sunlight, you should consider an awning or umbrella to provide your plants with some shade as well. If you’re growing vegetables, will your garden be organic? Depending on your stance, you may prefer organic soil, fertilizers, and plant foods over standard non-organic varieties. For most potted plants, you should use a soil, or potting “mix”, that’s fluffy, holds plenty of moisture, and can give your plants plenty of air and nutrition while also letting them anchor themselves down. Avoid soils labeled as “topsoil” and “compost” because they’re a bit too heavy for potted plants and consider a potting mix that’s formulated for optimal water retention. For safe measure, you could mix some peat moss into the potting soil to make it even fluffier and increase the air that your plants will get. It’s also recommended to put a thin layer of gravel in the bottom of your pots underneath of the potting soil to help with water drainage. Once you have all your plants, potters, and soil, it’s time to start setting up your urban garden. Generally speaking, any containers that will hang from a wall or railing should be hung and installed before you pot your plants; simply take down each container, add the soil, plant or transplant, then re-hang the container. Most potted gardens follow a three-tier display format. The top level are trellises and plants hanging on the walls. The middle tier consists of the larger, bushier plants in pots that sit on the floor along the walls and railings. The bottom tier is the trailing plants that will overgrow the top two tiers, spilling out onto the floor. With all your little green friends happily wiggling and stretching their toes in their high-quality potting soil, it’s up to you to help them flourish. See them through their adolescence and into adulthood by continuing to water your plants daily or at least every other day since potted plants tend to dry out significantly faster than plants do when they’re in the ground. You may choose to give them plant food or fertilizer; this isn’t necessary, but it can speed up their growth if you’re getting impatient for flowers and veggies. You should also prune and trim as necessary to keep your plants neat and tidy. When cold weather comes and your plants die off, cut them back; some say to remove the trimmings and discard them, but you could leave some of the trimmings since they’ll add nutrients to the soil as they decay. 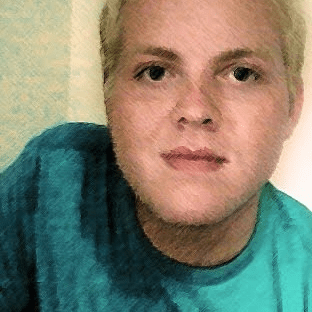 Dane O'Leary is a full-time freelance writer and design blogger for Modernize.com. He has degrees in psychology and anthropology with additional study in journalism, graphic design, and public relations. Dane is currently working on his debut novel. Head to Modernize.com for more design ideas and inspiration. Thank you for the opportunity to be a guest writer. I hope that you and your readers have enjoyed this article as much as I enjoyed writing it! Have a great spring. Dane, it was a good article. Thanks. 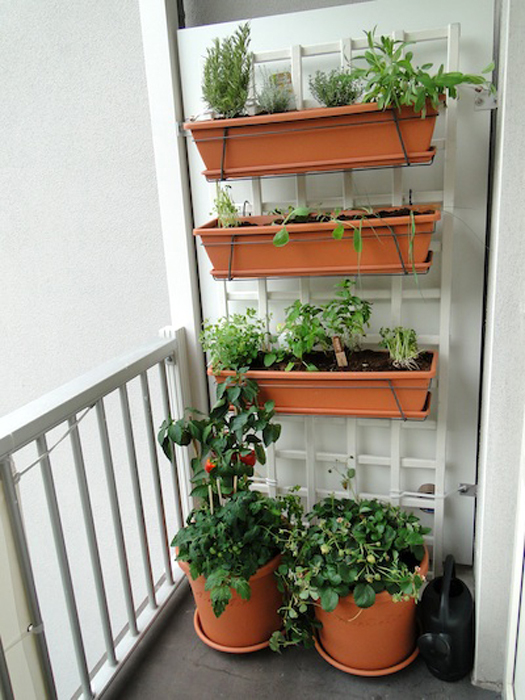 Thank you for writing such an informative piece on creating a little garden in the balcony. Enjoyed reading it!